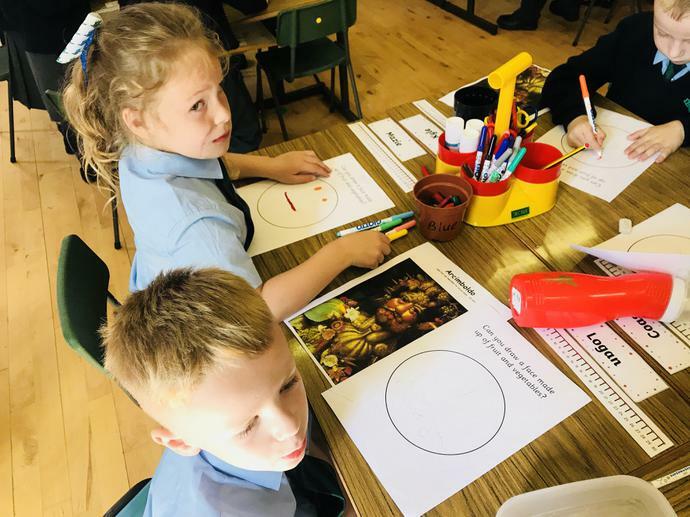 During our Play Based Learning we explored the artist ‘Acrimboldo’ and discovered how to create a face by drawing fruit and vegetables. 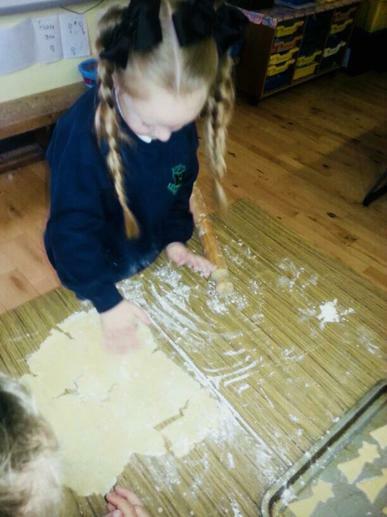 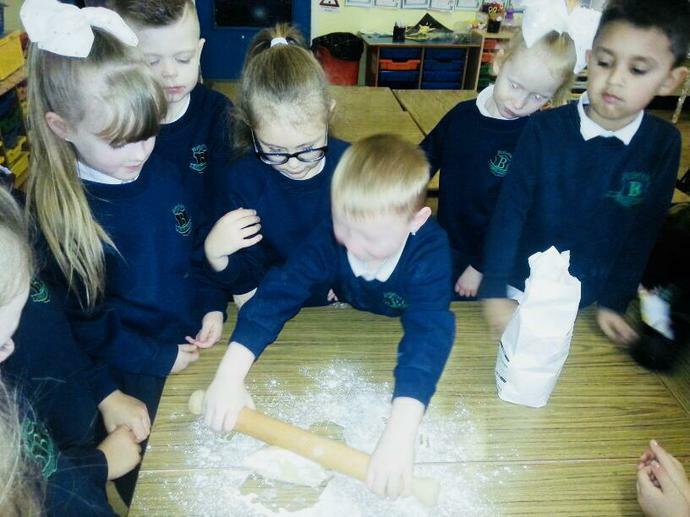 This has also helped with our knowledge of our ‘Food’ topic. 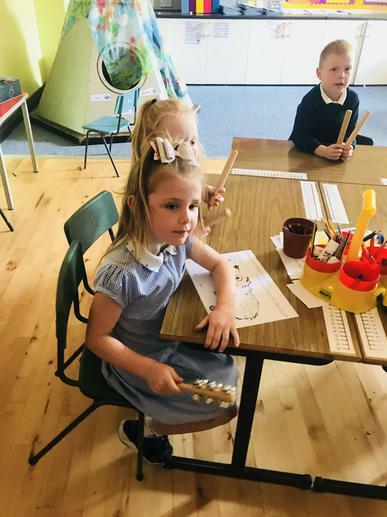 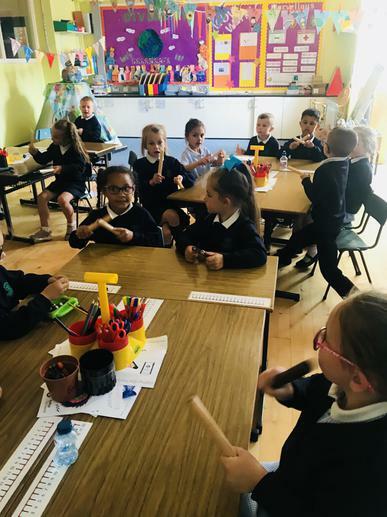 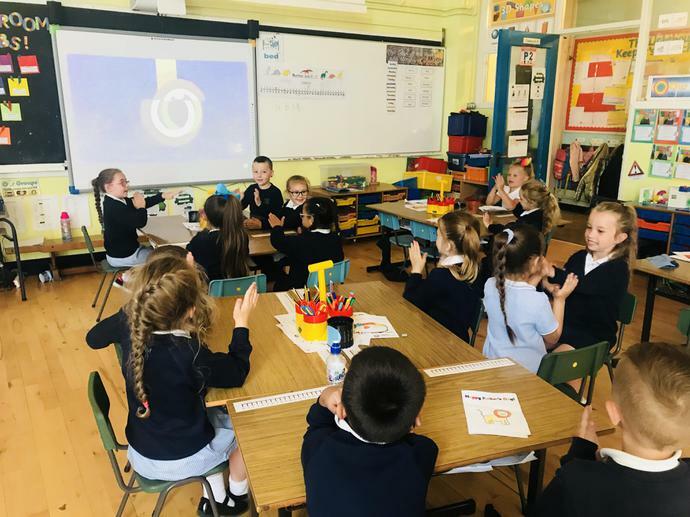 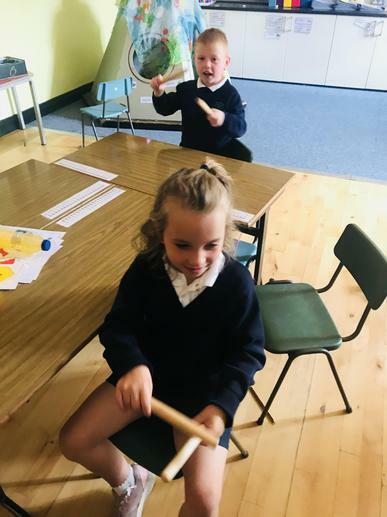 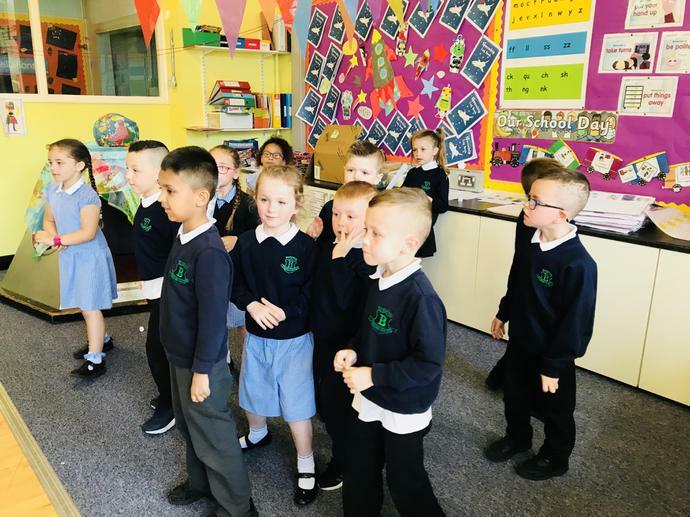 We are so musical in P2! 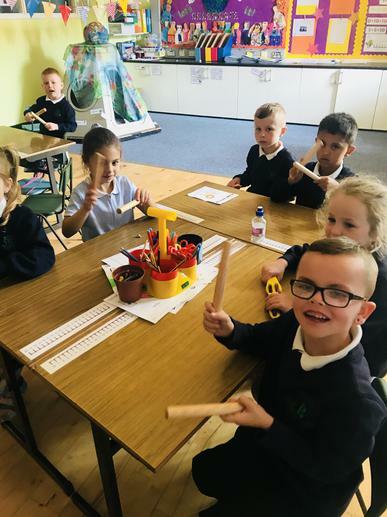 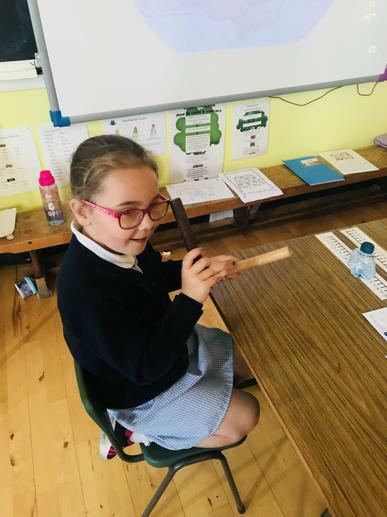 We sang and used glockenspiels and bell shakers to the song ‘A sailor went to sea sea sea’. 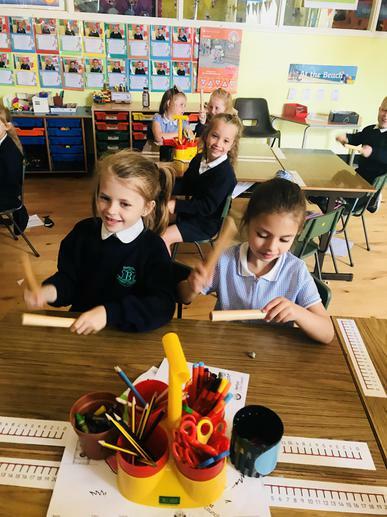 We explored how to create a beat and a rhythm. 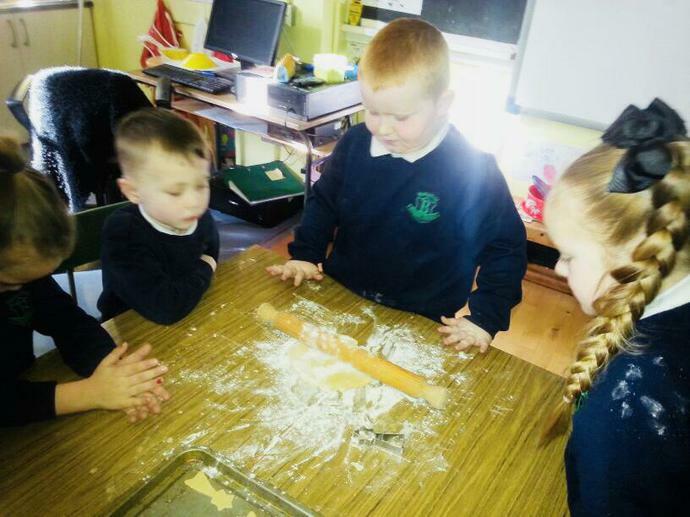 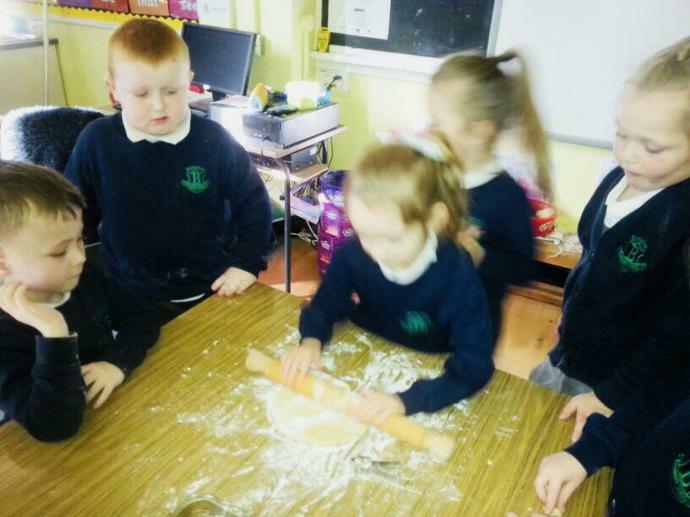 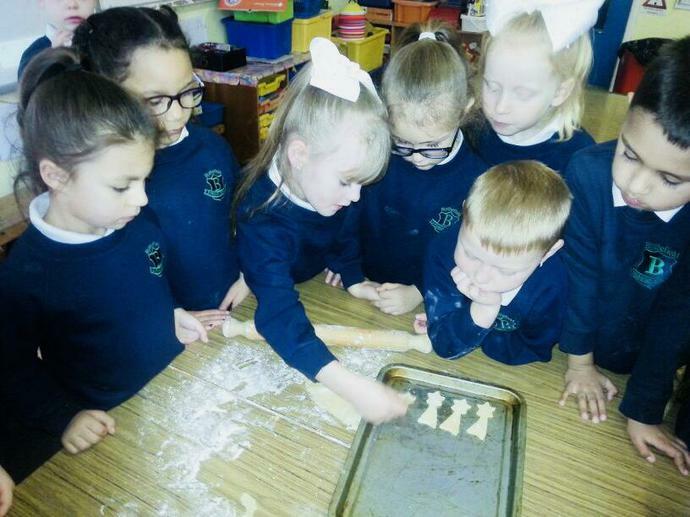 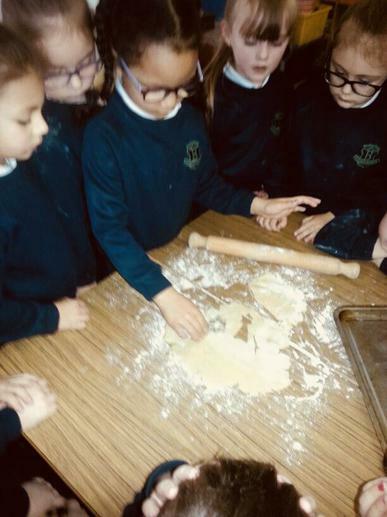 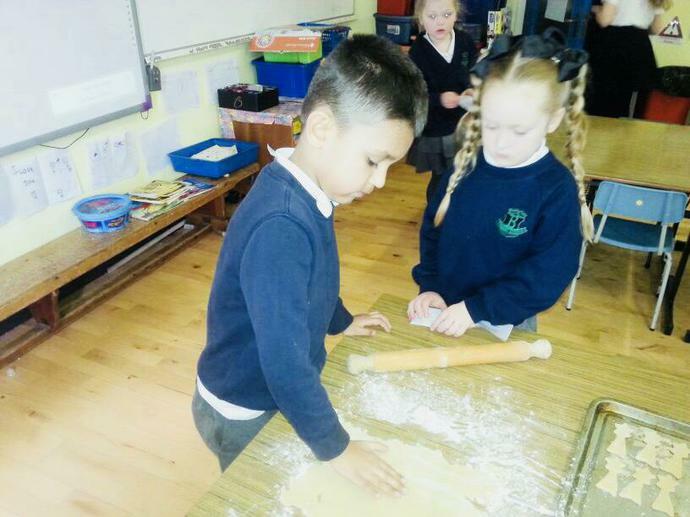 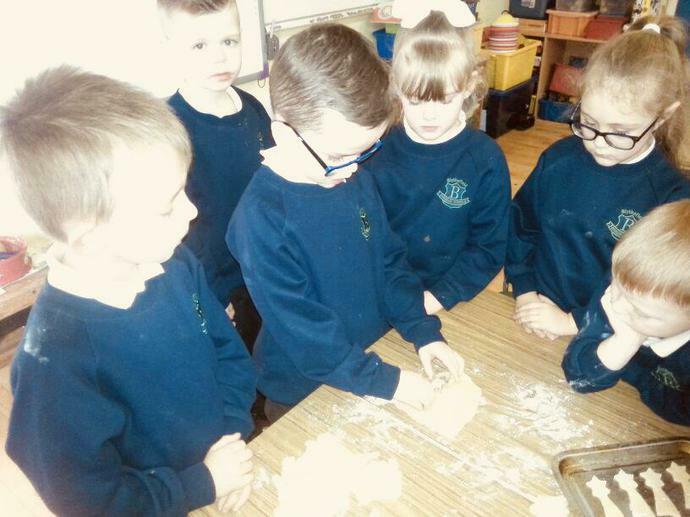 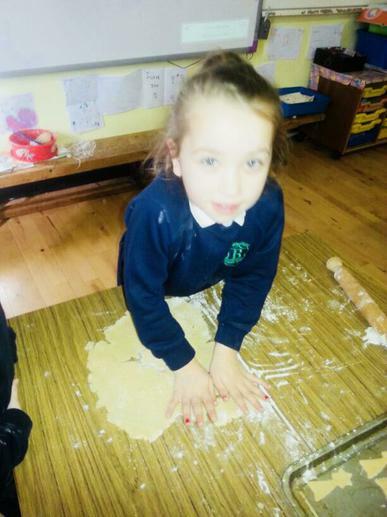 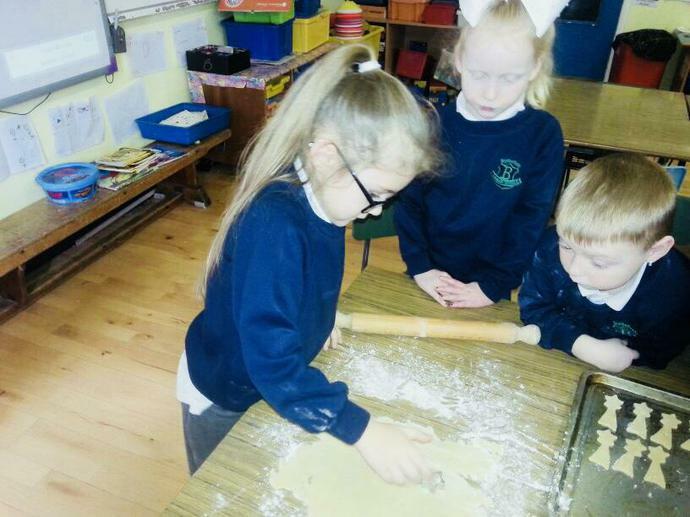 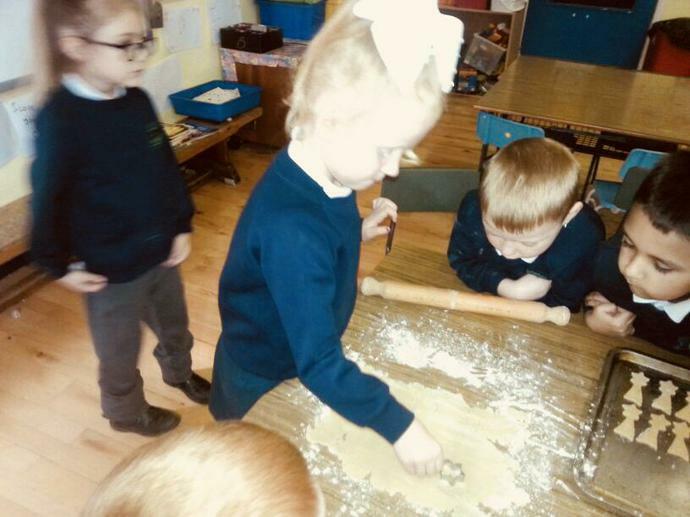 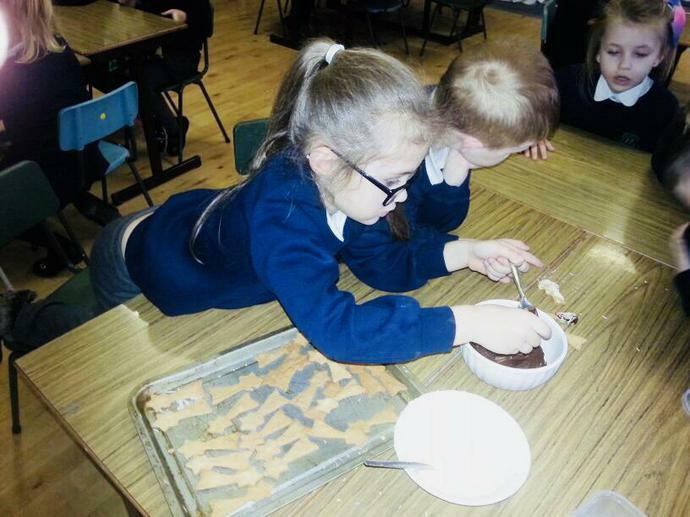 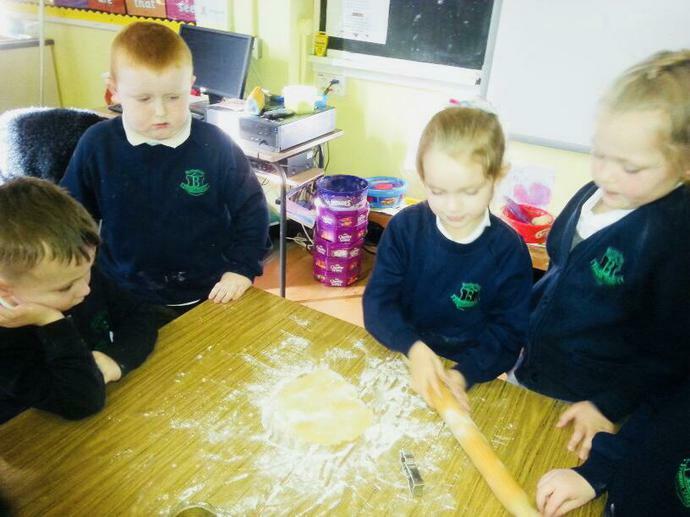 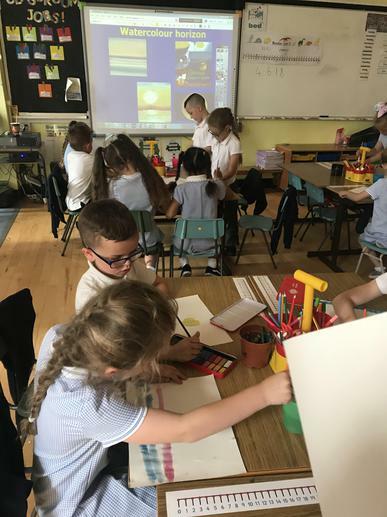 P2 have been exploring the story of The Lighthouse Keepers Lunch. 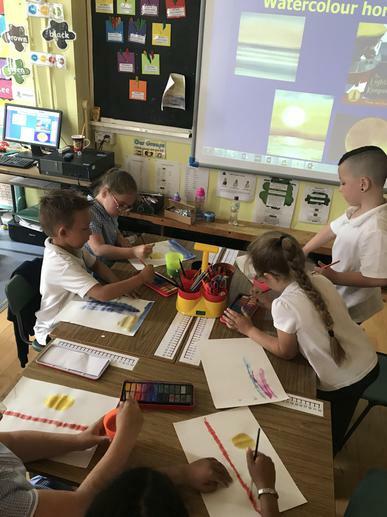 We went on to paint horizons using watercolour paints. 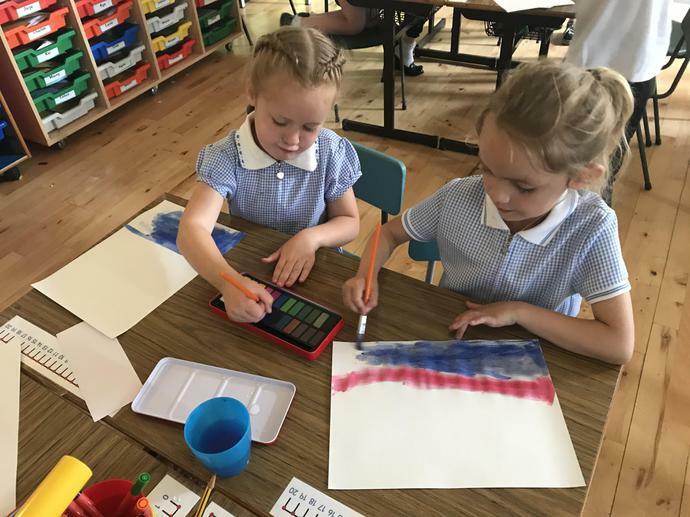 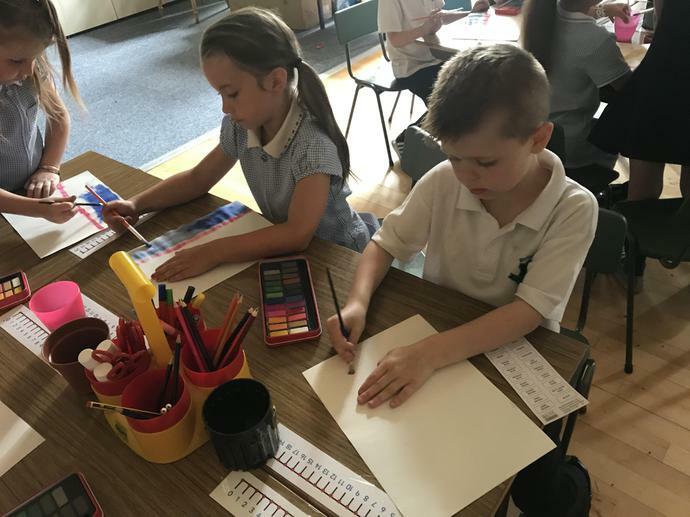 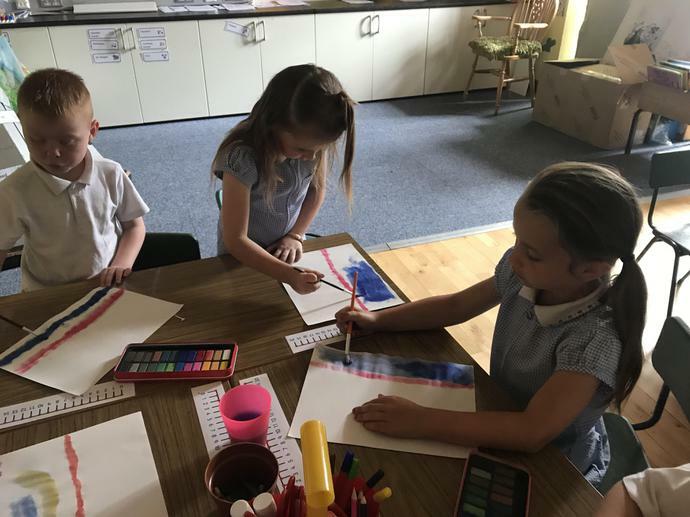 We explored how to blend colours. 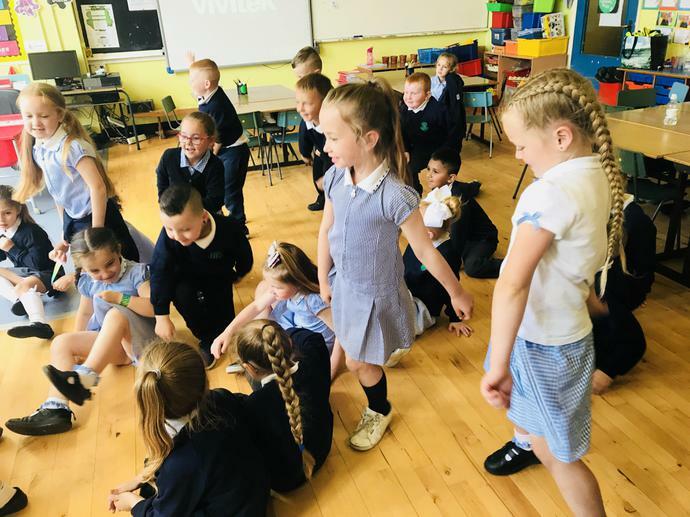 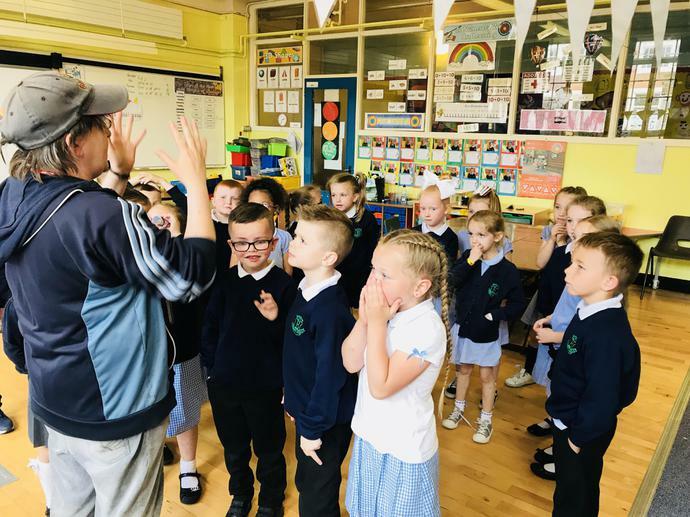 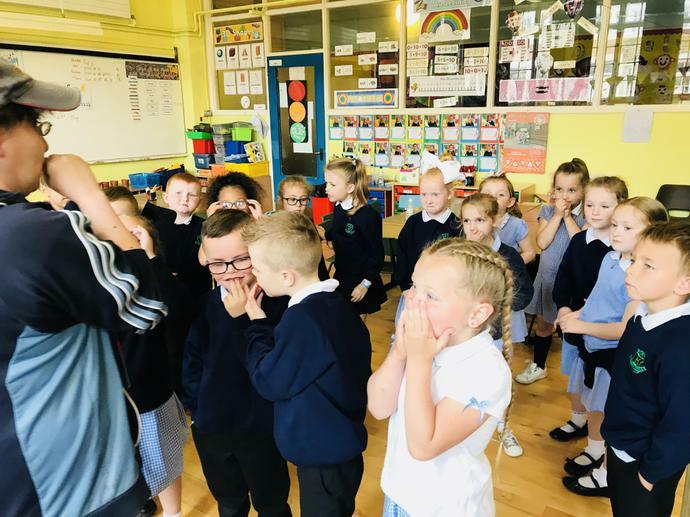 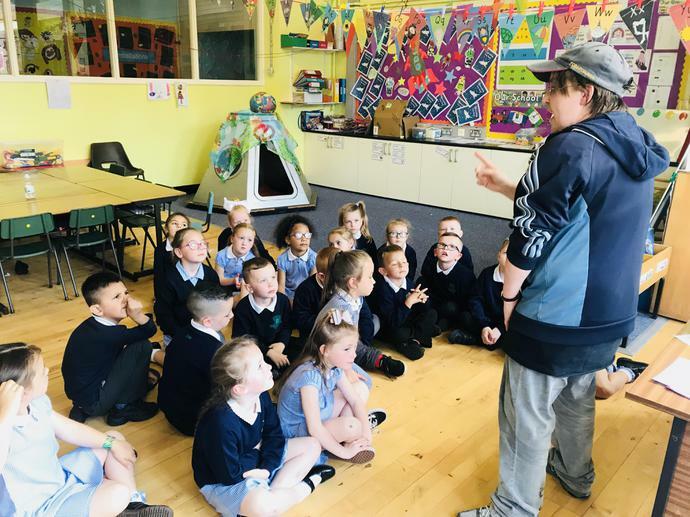 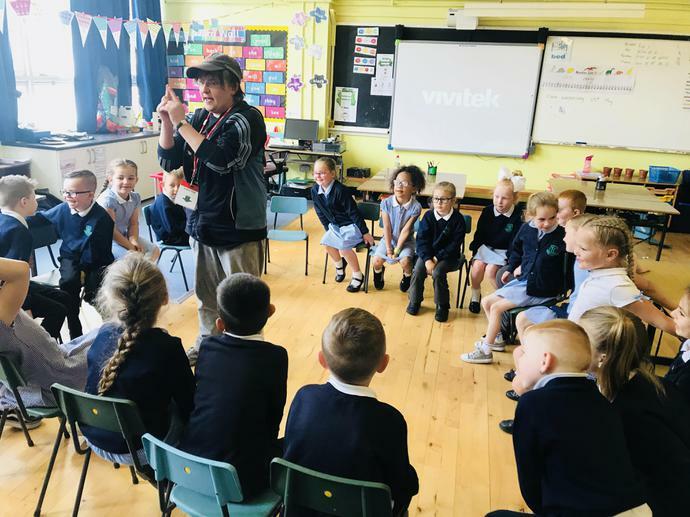 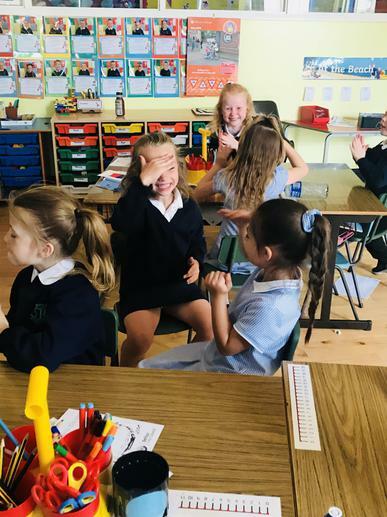 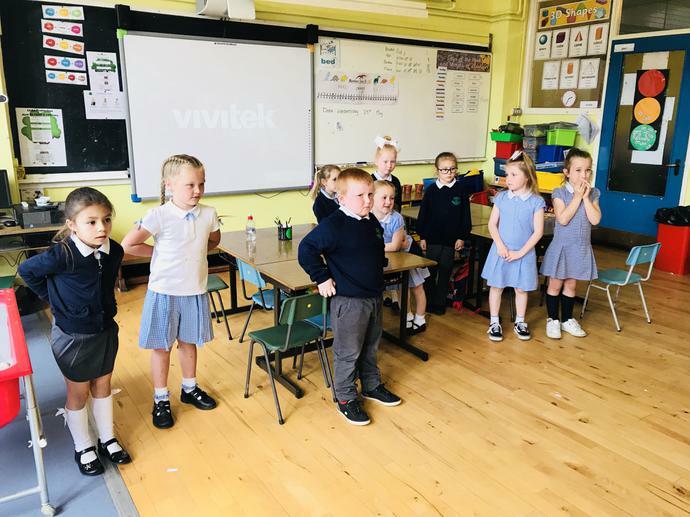 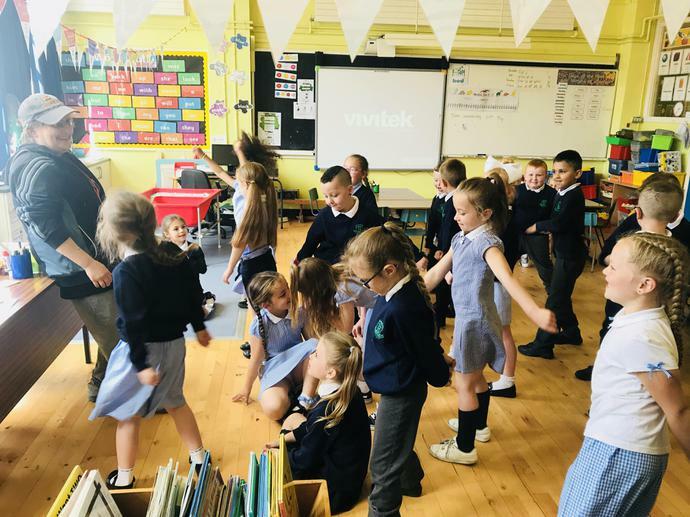 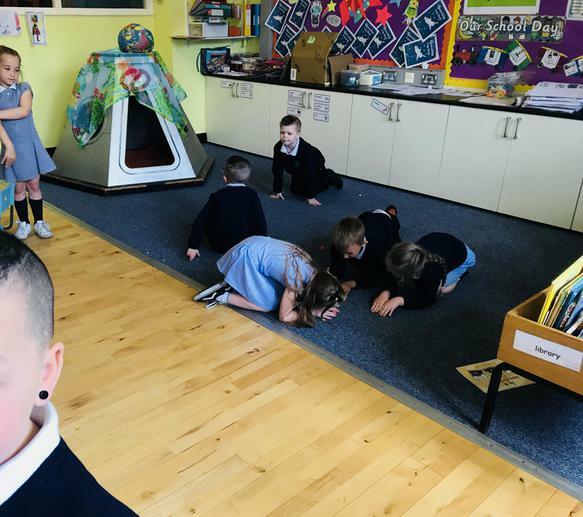 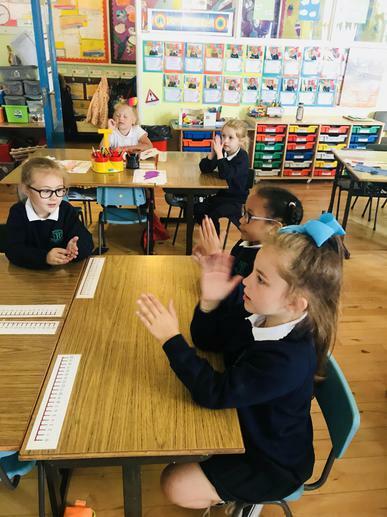 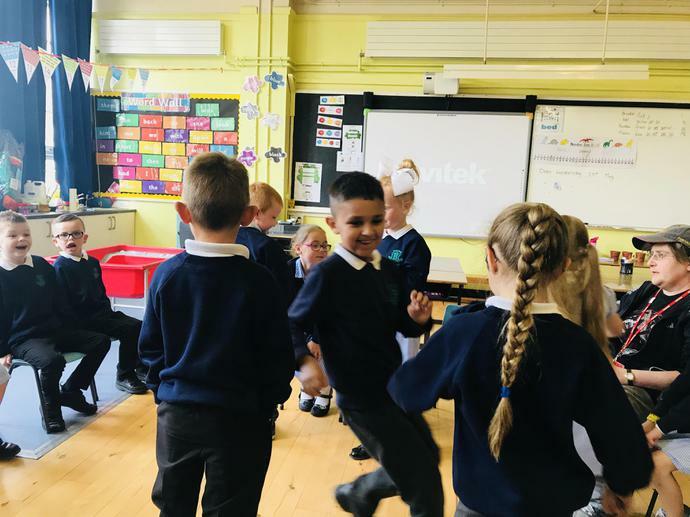 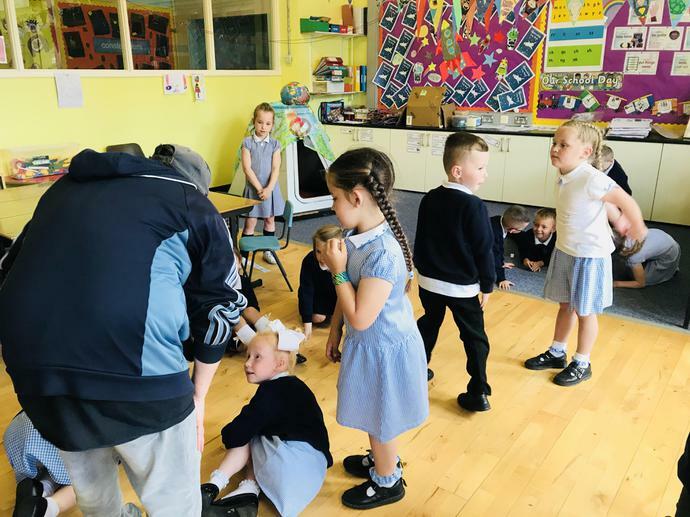 Primary Two are enjoying taking part in drama lessons. 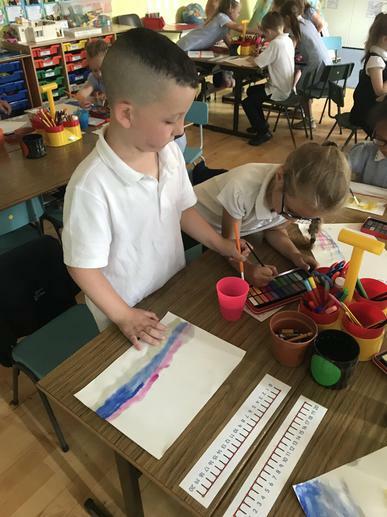 They are learning all about how to express themselves and the importance of being different. 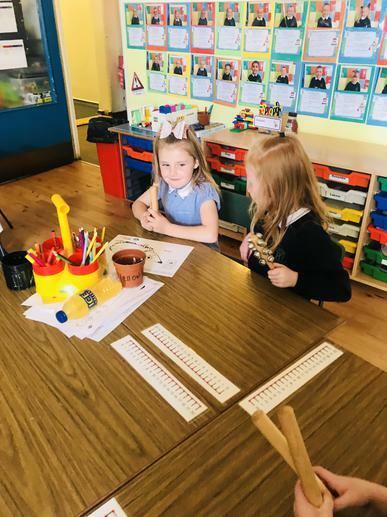 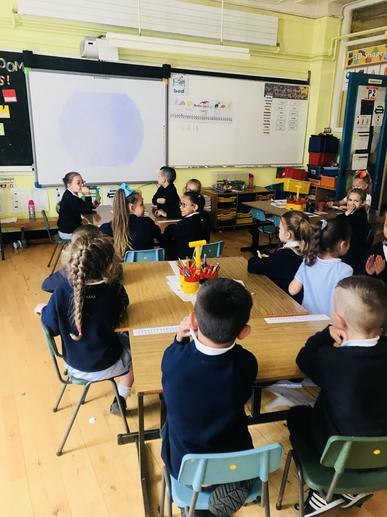 P2 are learning all about how to be a good friend. 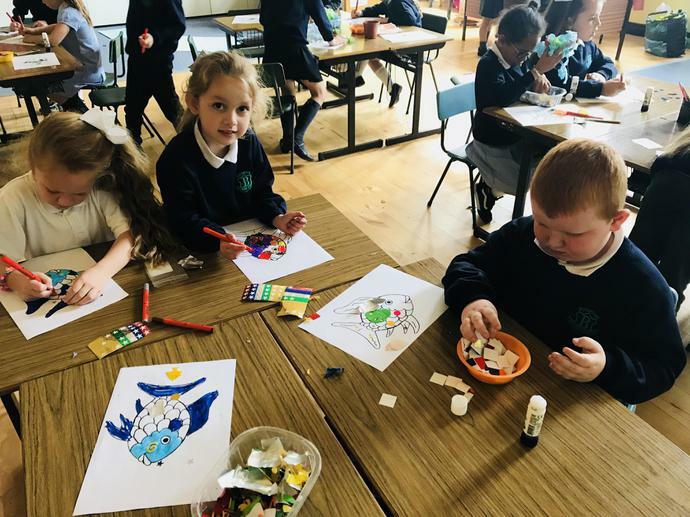 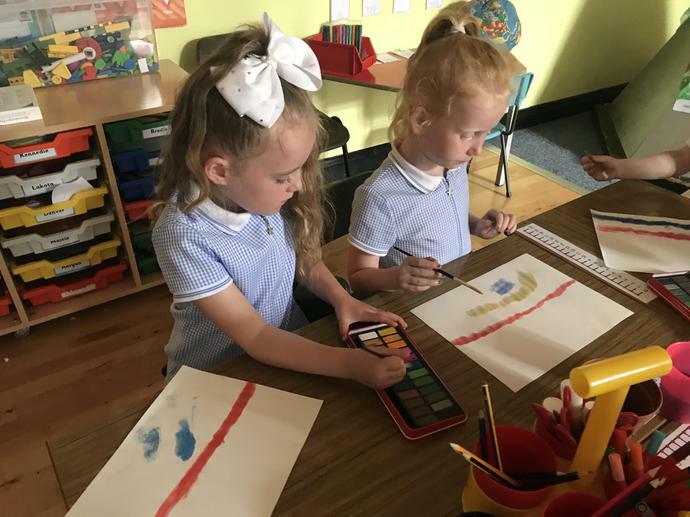 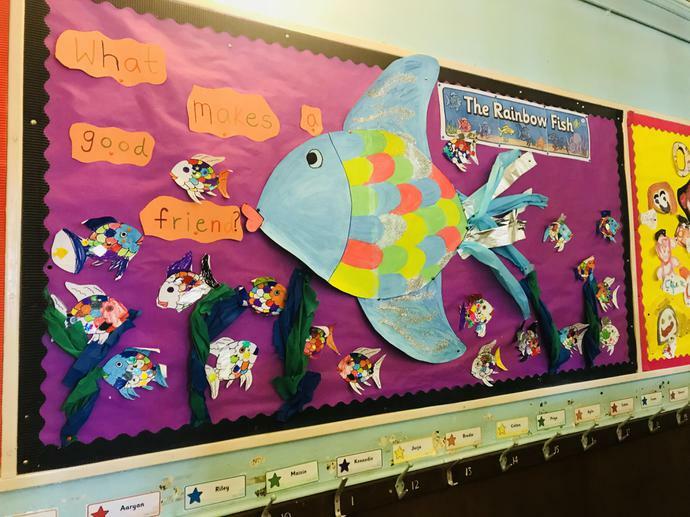 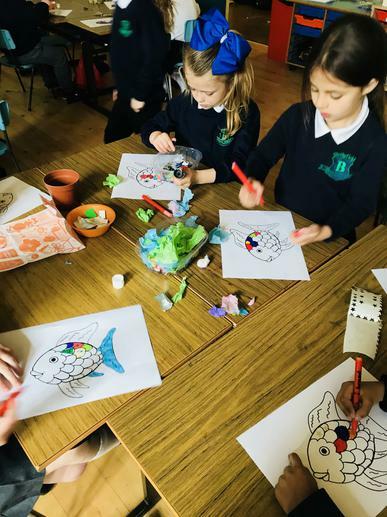 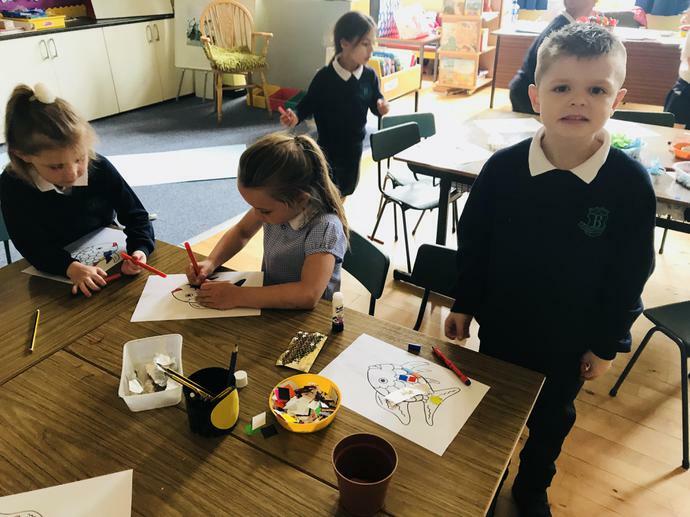 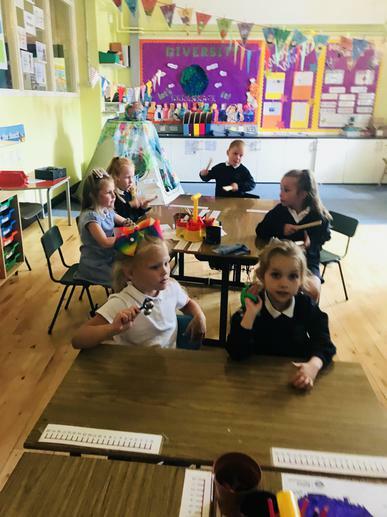 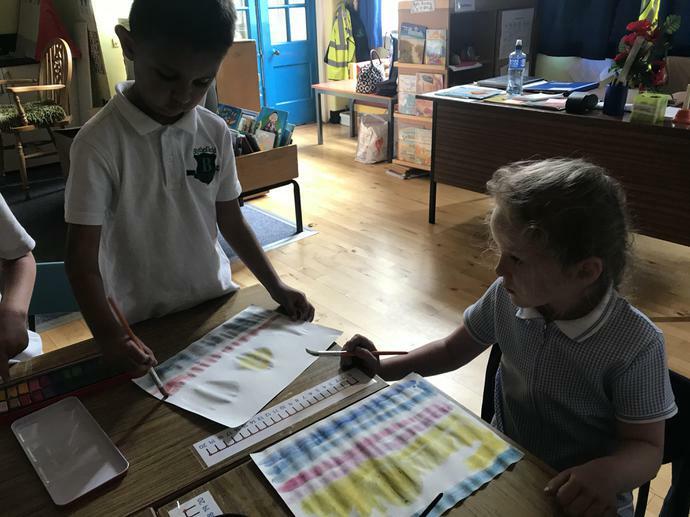 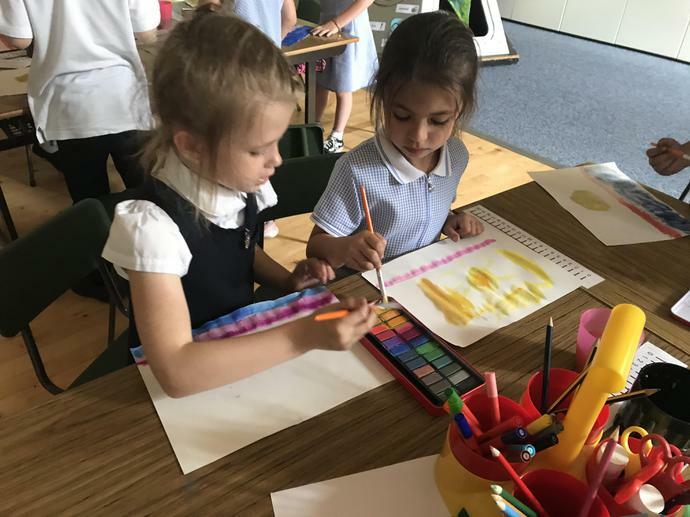 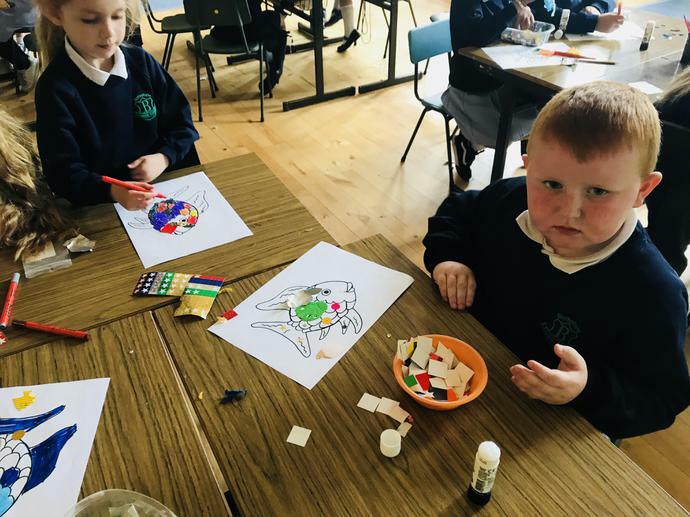 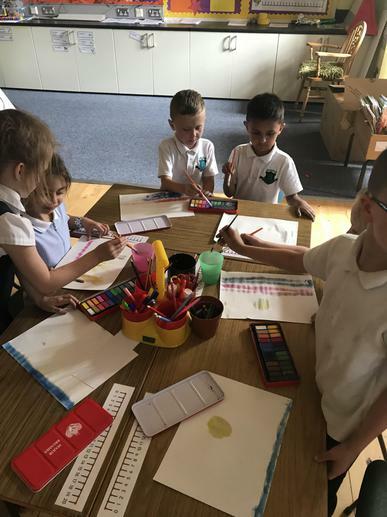 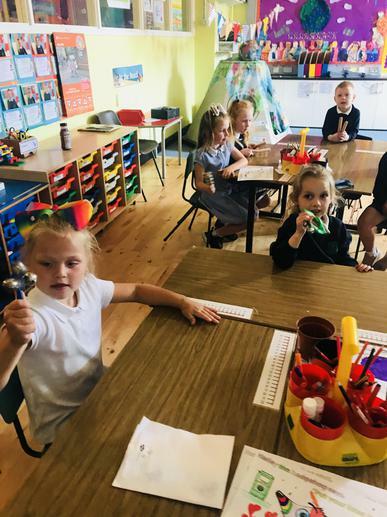 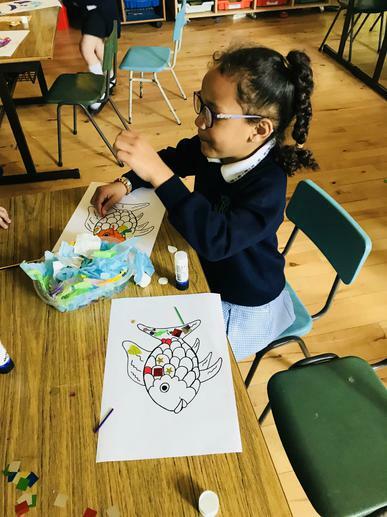 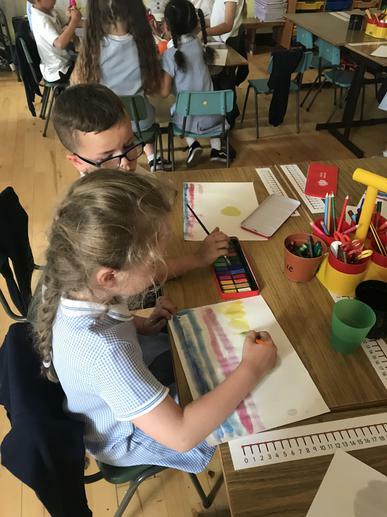 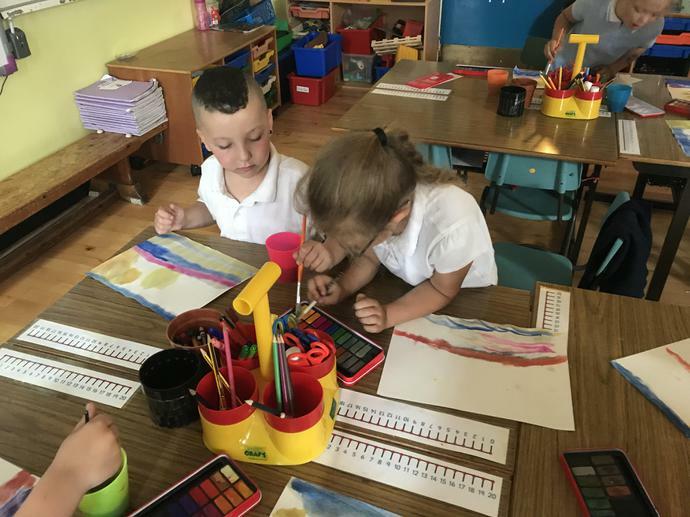 They enjoyed listening to The Rainbow Fish story and making their own rainbow fish using a variety of colours and materials. 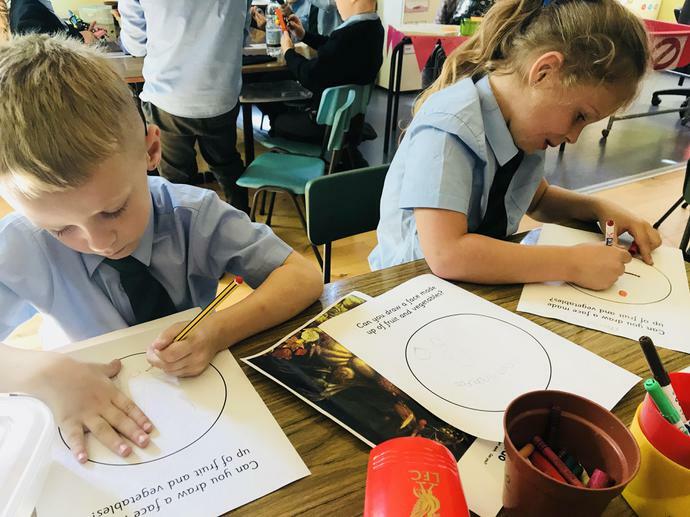 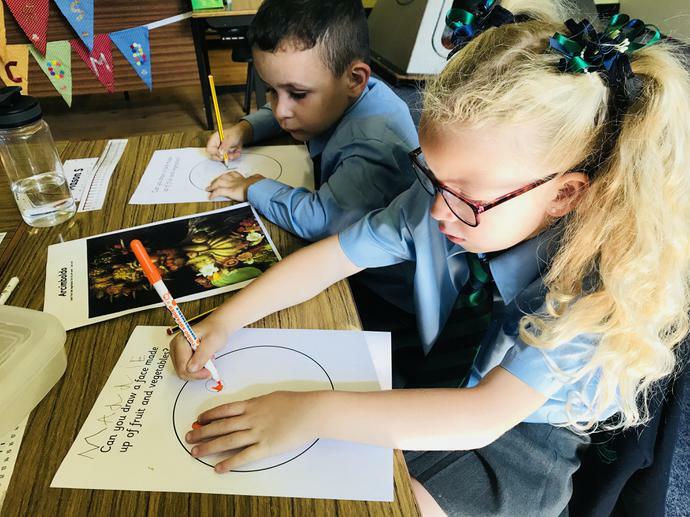 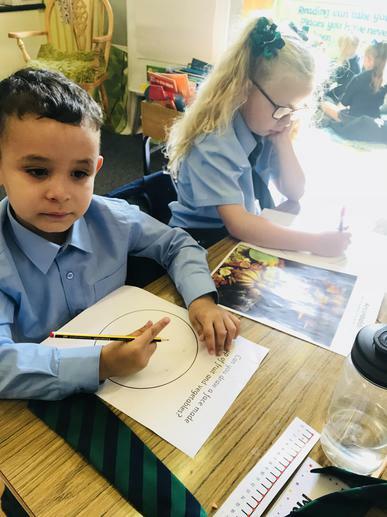 We are learning all about ourselves in Primary two. 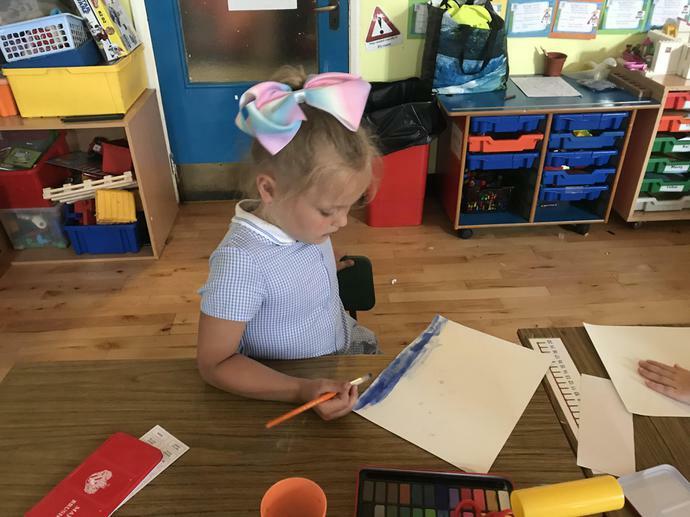 After exploring our five senses we went on to paint portraits of ourselves. 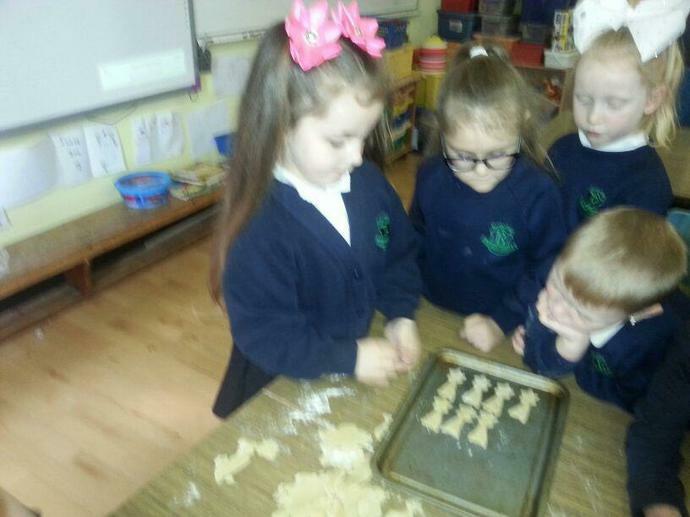 These are looking very well on our display board.